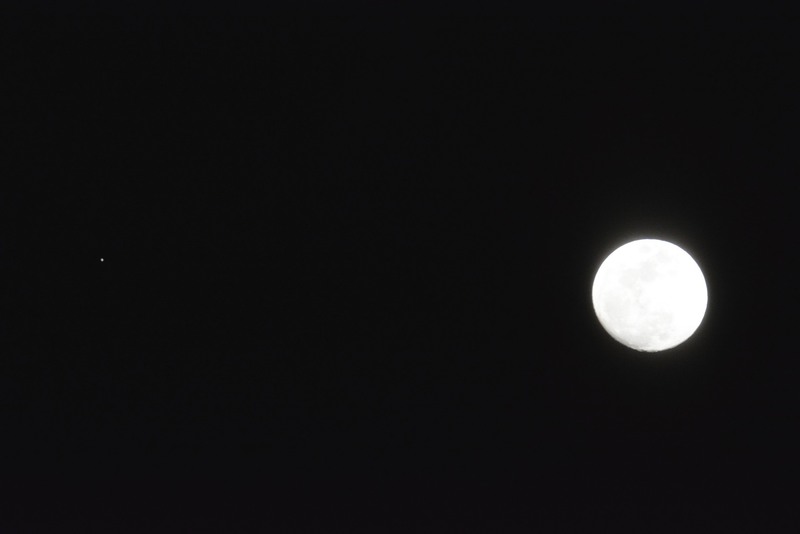 Some astronomy pastime tonight (March 21, 2016,) as Jupiter and the moon were pretty close together in the eastern sky about two hours after sunset. 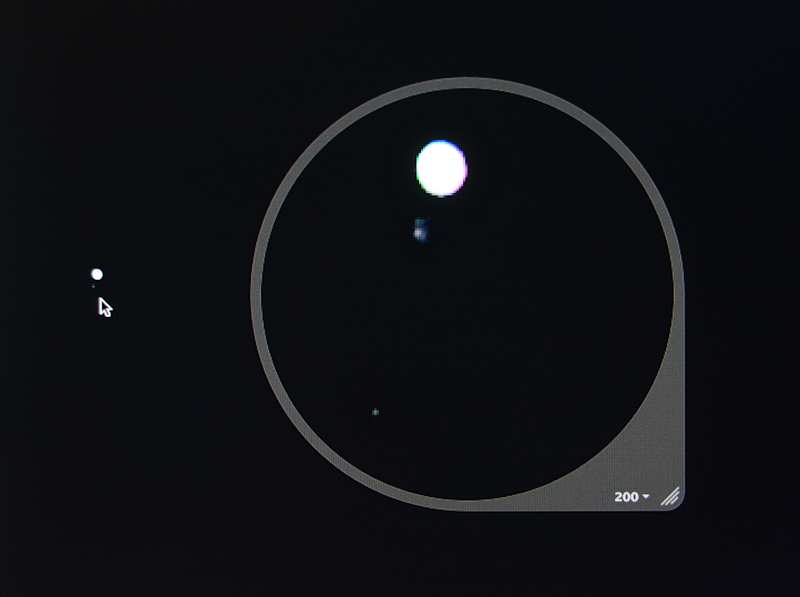 Above: In circle: A 200x close up of a slightly longer and slightly distorted exposure of Jupiter (to left,) showing three of four “Jovian” moons tonight, with the fourth out of frame in the magnified insert. 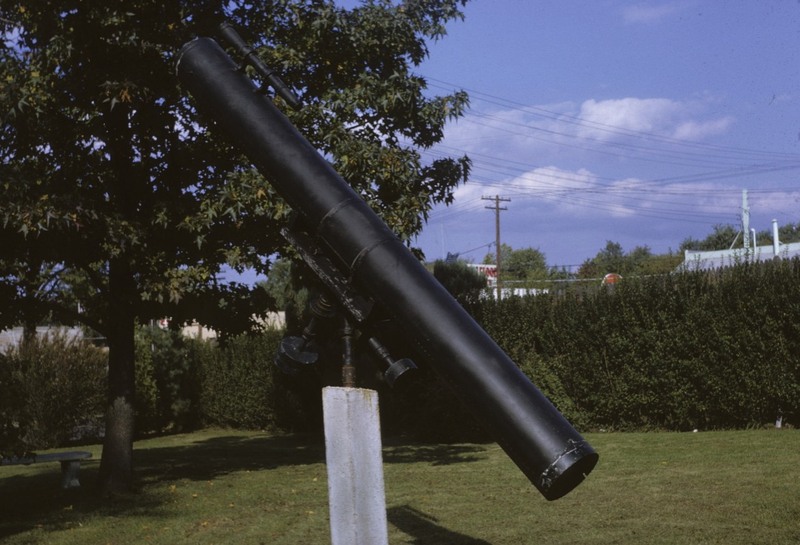 Above: An image of Jupiter taken by a younger version of myself some years ago, using Extachrome Color film 35 mm SLR camera and the telescope below. Cool! Let us know if you see any shooters out there. ‘Tis the season for meteors. I noticed it on the way home tonight . . . before clouds moved in. Note that the image above was a bit distorted due to increased exposure to catch Jupiter’s moons. 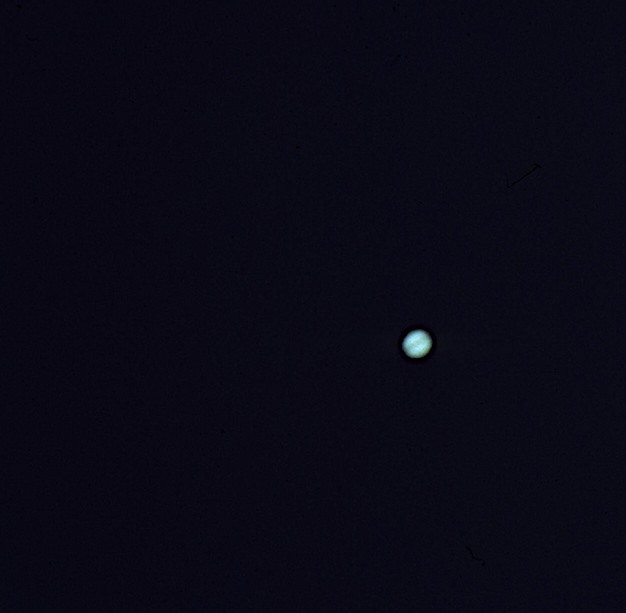 In another, shorter exposed image the disk defination of Jupiter is most impressive, also using only the Tamron telelphoto lens on a Nikon D 5200. Your photos are stunning. Thank You showing them. Matti.